Should the new flu stay secret? Or does secrecy kill? Recently I blogged about a new strain of potentially dangerous flu that evolved during experiments in the Netherlands and Wisconsin. There I tried to counter the misconception that scientists had intentionally concocted this particular strain. Because these new flus actually evolved pretty quickly in laboratories, we now know we should take seriously the possibility that this transformation may happen in the outside world someday. But there’s a second issue at play with this new virus: should the world get to see its genome? As Martin Enserink reported last month, both teams of scientists have submitted their papers for publication. Normally, such a paper might include the entire genome of the new viruses. This was a touchy subject, so the papers went under review by the U.S. National Science Advisory Board for Biosecurity (NSABB). 1. Neither manuscript should be published with complete data and experimental details. mutation data that would enable replication of the experiments. and occupational health is part of the responsible conduct of all life sciences research. 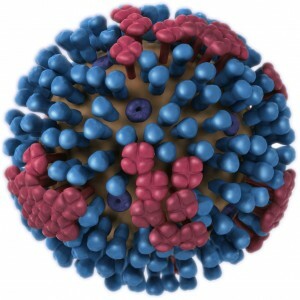 The resulting virus is sensitive to antivirals and to certain vaccine candidates and knowledge about it could well be essential for speeding the development of new treatments to combat this lethal form of influenza. The NSABB has emphasized the need to prevent the details of the research from falling into the wrong hands. We strongly support the work of the NSABB and the importance of its mission for advancing science to serve society. At the same time, however, Science has concerns about withholding potentially important public‐health information from responsible influenza researchers. Many scientists within the influenza community have a bona fide need to know the details of this research in order to protect the public, especially if they currently are working with related strains of the virus. Science editors will be evaluating how best to proceed. Our response will be heavily dependent upon the further steps taken by the U.S. government to set forth a written, transparent plan to ensure that any information that is omitted from the publication will be provided to all those responsible scientists who request it, as part of their legitimate efforts to improve public health and safety. It doesn’t make any sense to publish Fouchier’s paper without complete data and experimental details. The point of a science paper is to enable others to duplicate the findings. Are we going to set a new precedent, where security matters override the reason for publication? This is setting a very dangerous precedent for virology and biological sciences in general. I disagree with the NSABB recommendations, because they have no scientific basis…one cannot conclude that the mutations selected by Fouchier [the head of the Dutch research team] will have effects on transmission of the virus among humans. I understand that if you publish the plans for a nuclear weapon, that may enable a terrorist to make one, but the Foucher finding doesn’t enable anything except more experiments. And that is why the paper should be published – to allow virologists to extend his findings and determine what controls transmission of H5N1 viruses. Often the best experiments are done by scientific unknowns who take an interest in a problem and apply a fresh view. If you restrict dissemination of this information, you are limiting our eventual understanding of the problem. Update: Looks like Racaniello’s concerns have fallen upon deaf ears. Martin Enserink reports that the virus researchers have decided to redact the contested parts of the papers, which are being considered by Science and Nature.